White House press secretary Sarah Sanders talks with reporters outside the White House in Washington, Friday, Feb. 15, 2019. 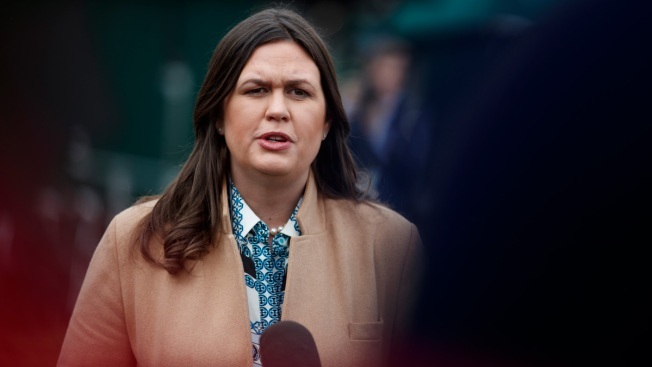 White House press secretary Sarah Sanders acknowledged on Friday that she's been interviewed by Special Counsel Robert Mueller's office, NBC News reported. "The President urged me, like he has everyone in the administration, to fully cooperate with the special counsel. I was happy to voluntarily sit down with them,” she said in a statement. Sanders has been critical of the Mueller investigation, echoing her boss's contention that it's a "witch hunt." The interview, which was first reported by CNN, took place late last year, around the same time then-White House Chief of Staff John Kelly met with investigators from Mueller's office, a source familiar with the matter told NBC News. The White House initially pushed back against the request to interview Kelly, but later agreed to a limited line of questioning, three people with knowledge of the matter told CNN.